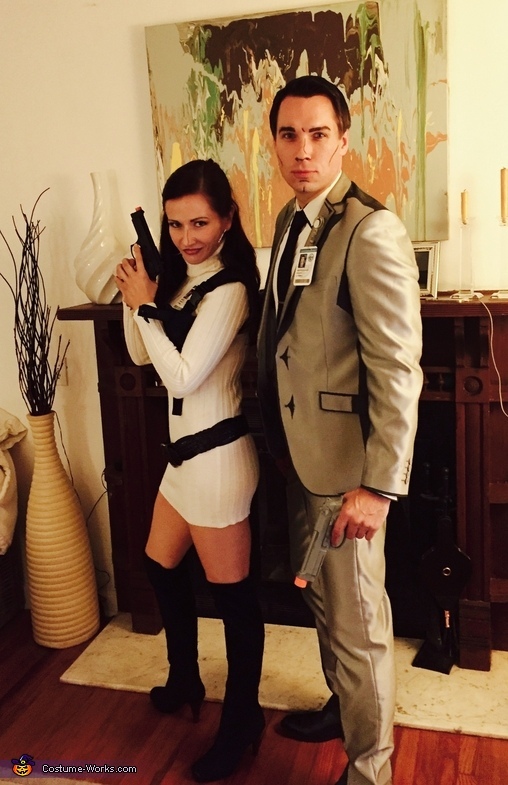 These are costumes of Archer and Lana from the popular cartoon. The suit is silver in color and was handpainted for shadows and outlines. The turtleneck sweater took two months to find, and was shipped from overseas. Make up was used to provide additional cartoonlike shading and outlining.